A favourite smuggler’s tavern and a second home to anyone who needs a thug now and again, the Wheatsheaf Tavern in Lower Zobeck serves up strong beer and spicy food nightly along with a healthy side of information, especially from the Redcloaks kobold gang or the Cloven Nine’s infernal gangsters. The collection of rogues, sharpers, cultists, assassins, fences, and cold-eyed hard cases that drinks at the Wheatsheaf is everchanging but always dangerous, alert, and looking for an opening. 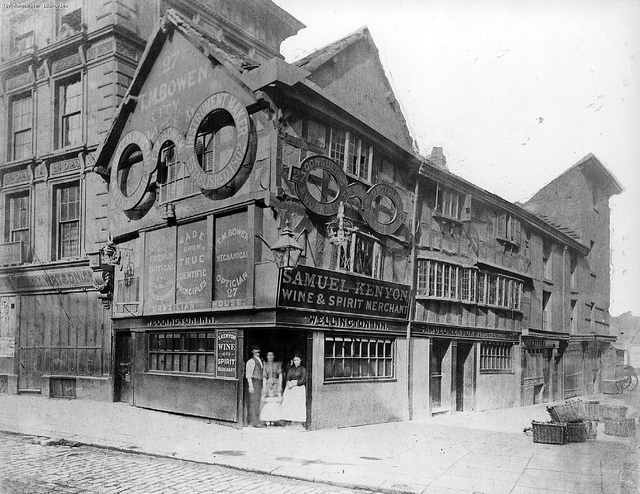 Despite its clientele and infernal connections, the Wheatsheaf remains a remarkably nonviolent place most of the time. The tavern provides a secure place to conduct public and private business or simply have a meal, and that security will end if people need to be alert for a knife in the back or the appearance of the Watch. When violence starts at the Wheatsheaf, it’s never a simple brawl—it’s murder. The killer needs to have powerful friends or excellent protection, however, since the most powerful gangsters in Zobeck prefer that the Wheatsheaf continues to operate under a flag of truce, and they look askance on anyone threatening that peace. The establishment is run by Carla Siccone, a veteran Septime fighter with much battle experience.